the activity of Oxford Street. Lined with outdoor cafes and shops, the new space enhances the thriving cafe and gallery culture of Charlotte Street and the surrounding area. 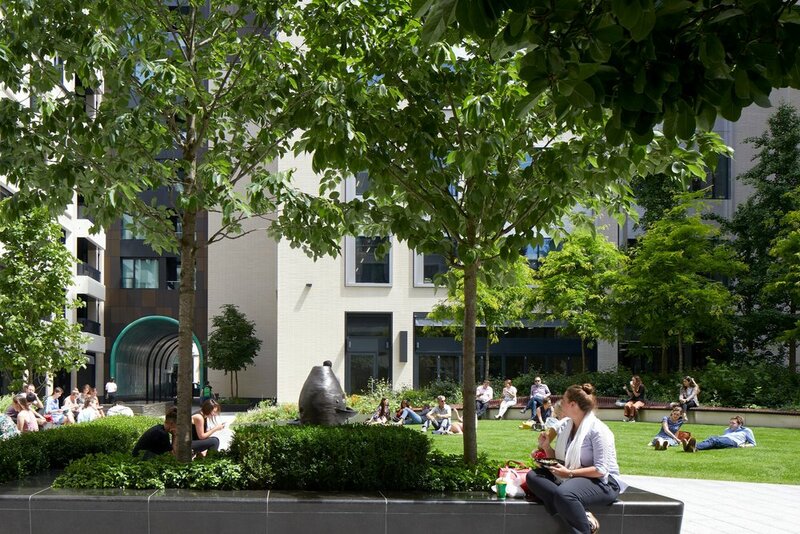 The garden lies at the heart of a new residential and commercial development designed by Make architects for Great Portland Estates. 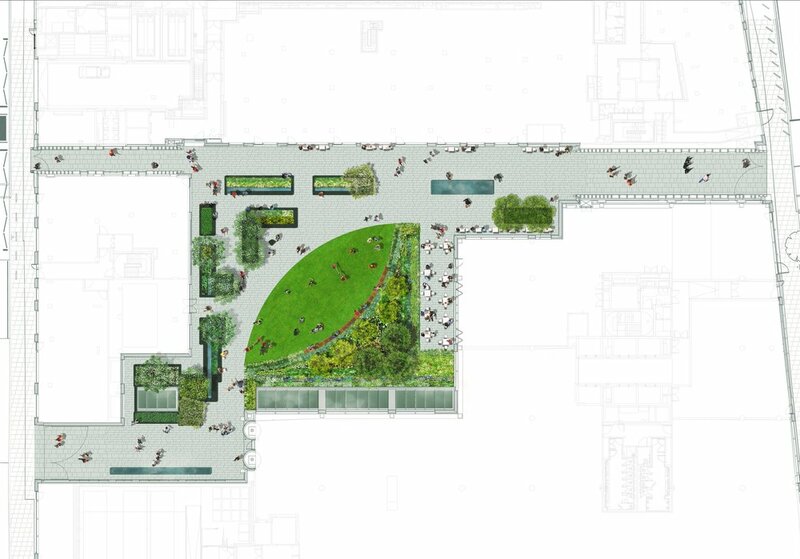 The water tables near each of the main entrances reflect the natural setting of a garden and encourage the public to explore the space within. The sculpting of the stone resembles flowing water grasses as one enters the square with more of the garden unfolding and presenting itself. On the western edge perennial planting provides softness, colour and texture to form a series of ‘garden rooms’. 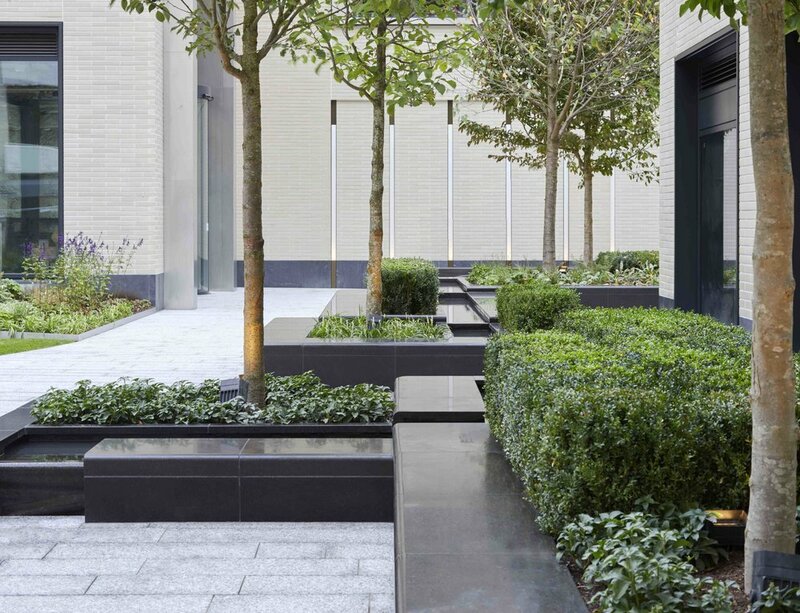 The raised planters of honed brown granite create integrated benches and allow sufficient soil depth for Cherry and Magnolia trees, box hedging and understory planting. 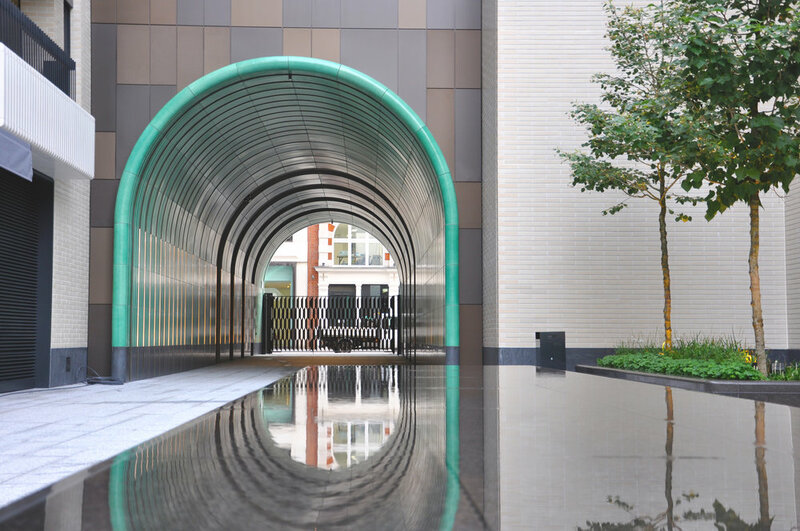 Water rills reflect the surrounding planting and fall towards two water cascades creating a calm and intimate environment to enjoy a moment of respite. The central lawn rises gently towards a shade garden to the east. 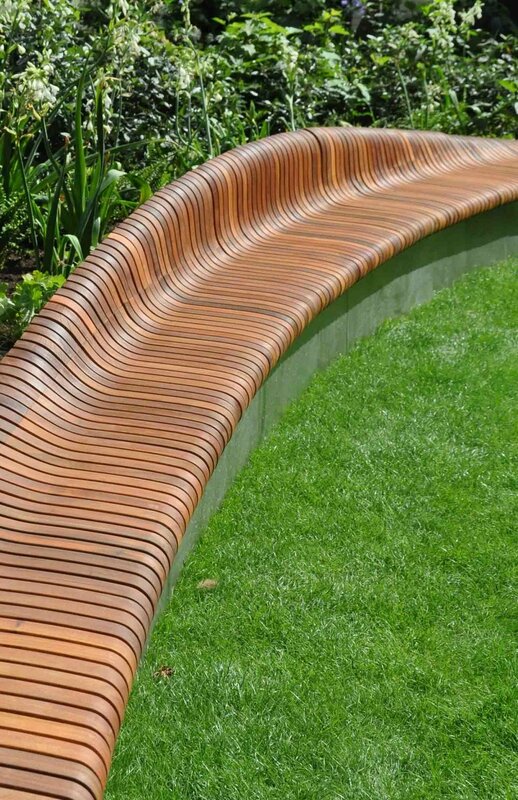 The lawn is framed by a sculpted timber bench, shade tolerant planting including Viburnum and Hydrangea, blue and white flowering perennials, and semi-mature Gingko and Gleditsia trees. Three entrances to the garden are marked by bronze gates designed by the artist Robert Orchardson. The theme of water is further celebrated with a public drinking fountain designed by the sculptor Alison Wilding. The water tables were developed with the collaboration of John Gould of Texxus. 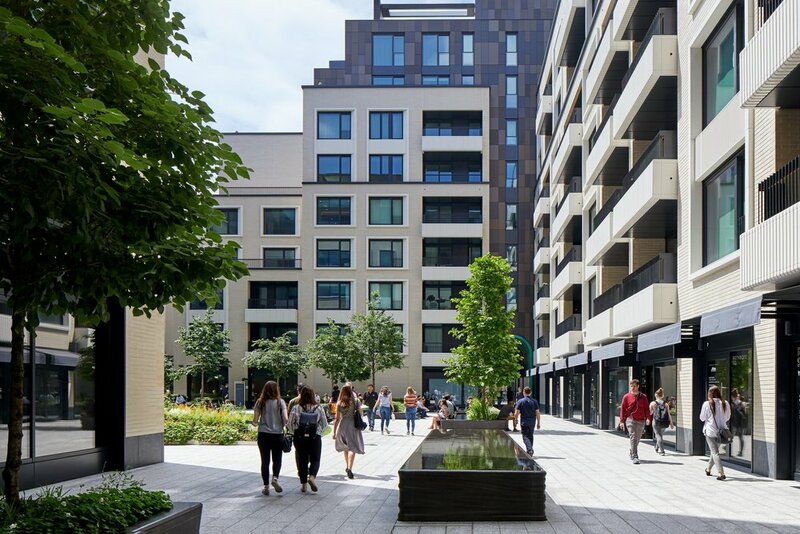 Altogether, the new garden encompasses a variety of spaces that enrich the experience of the visitor and improve the quality of public space in central London. The space is welcoming and free to enjoy for all members of the public whether they live in the development, work in the offices, or simply passing by.